In 2015, I will be sharing a new 12” square every two weeks ~ and you may CAL with the rest of us. At the end, you may seam and edge them however you like. By the time we’re done you will have a 4’ x 6’ (or bigger!) afghan to show off! For the 2015 American Crochet CAL, I have selected 24 of my amazing fellow crochet designers. They will each design a 12” square for the CAL ~ and it will always be a free pattern on their blogs! You will get to check out new and cherished designers. I know you’re going to love their designs! 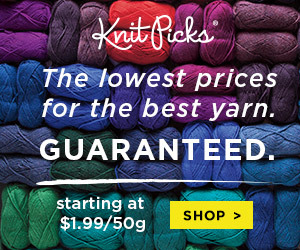 We’ll be using worsted/aran weight yarn. Outside of that, each designer is free to design something fun and amazing, in as many colors as they want! I plan on using Red Heart Soft or Red Heart with Love ~ however, I’m still deciding on a color palette. I plan on purchasing all of my yarn at once. If you cannot purchase all of your yarn at once I suggest that you pick a yarn that doesn’t have a dye lot, or one where the dye lot doesn’t really matter. However, if you plan on using several colors and changing up the border of the blocks while joining, the dye lot really won’t matter. So, I hope you’ll join us in 2015! I can’t wait to see what this year has in store ~ the squares themselves will be a surprise! The first block for the 2015 CAL will be posted tomorrow January 15th!